Plus tax and license. Sample VIN# 3N1AB7AP1KY330017. $219 /Mo + Tax. $995 Due at Signing for Qualified Lessees. Monthly payment amount applies to qualified top tier credit or lease applicants having a minimum credit score of 750. Your monthly payment is established based on a full review of your credit application and credit report. $389 Due At Signing after all qualifying offer(s). Additional mileage charged at $.15/mile over 12,000 miles per year. See dealer for complete offer details. Offer Expires 04-30-2019. For well-qualified buyers. Subject to residency restrictions. Customer may choose either APR or cash-back-only option. Financing is subject to NMAC Tier 1 through Tier 2 credit approval. $16.67 (60 months) per month per $1000 financed. $20.83 (48 months) per month per $1000 financed. $27.78 (36 months) per month per $1000 financed. No security deposit required. Cash back when you purchase from new dealer stock. The delayed payment must begin exactly 90 days from the date of the contract. Accrual of interest commences from date of contract and consumer is responsible for payment of accrued interest. Delayed payments are only allowed in Pennsylvania if the APR is 0%. Subject to residency restrictions. Varies by Nissan region. See participating dealer for details. Dealer participation may vary. 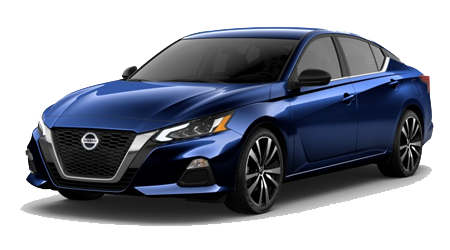 $0 down payment for Qualified Customers Offer Expires 04-30-2019. Plus tax and license. Sample VIN# KN748064. $389 /Mo + tax. $995 Due at Signing for Qualified Lessees. Monthly payment amount applies to qualified top tier credit or lease applicants having a minimum credit score of 750. Your monthly payment is established based on a full review of your credit application and credit report. $389 Due At Signing after all qualifying offer(s). Additional mileage charged at $.15/mile over 12,000 miles per year. See dealer for complete offer details. Offer Expires 04-30-2019. For well-qualified buyers. Subject to residency restrictions. Customer may choose either APR or cash-back-only option. Financing is subject to NMAC Tier 1 through Tier 2 credit approval. $16.67 (60 months) per month per $1000 financed. $20.83 (48 months) per month per $1000 financed. $27.78 (36 months) per month per $1000 financed. No security deposit required. Cash back when you purchase from new dealer stock. The delayed payment must begin exactly 90 days from the date of the contract. Accrual of interest commences from date of contract and consumer is responsible for payment of accrued interest. Delayed payments are only allowed in Pennsylvania if the APR is 0%. Subject to residency restrictions. Varies by Nissan region. See participating dealer for details. Dealer participation may vary. Offer Expires 04-30-2019. Plus tax and license. Sample VIN# KNMAT2MV0KP534056. $289 /Mo + Tax. $995 Due at Signing for Qualified Lessees. Monthly payment amount applies to qualified top tier credit or lease applicants having a minimum credit score of 750. Your monthly payment is established based on a full review of your credit application and credit report. $995 Due At Signing after all qualifying offer(s). Additional mileage charged at $.15/mile over 12,000 miles per year. See dealer for complete offer details. Offer Expires 04-30-2019. 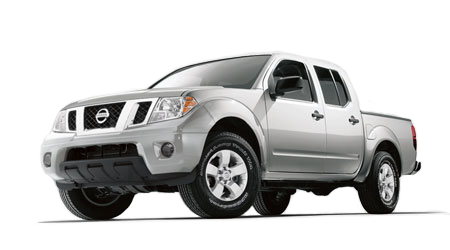 0.0% APR from Nissan Motor Acceptance Corporation. 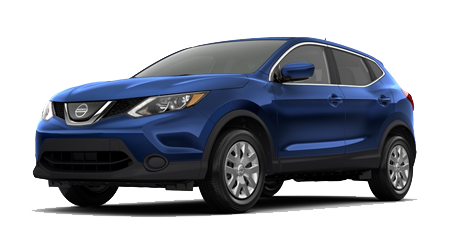 $0 down payment for Qualified Customers + up to $500 2019 Nissan Rogue Captive Cash. Plus tax and license. Monthly payment amount applies to qualified top tier credit or lease applicants having a minimum credit score of 750. Your monthly payment is established based on a full review of your credit application and credit report. Offer Expires 04-30-2019. Plus tax and license. Sample VIN# 1N6AA1EJ6KN505424. $389 Mo + Tax. $995 Due at Signing. 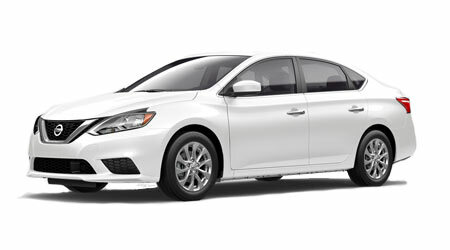 Monthly payment amount applies to qualified top tier credit or lease applicants having a minimum credit score of 750. Your monthly payment is established based on a full review of your credit application and credit report. $389 Due At Signing after all qualifying offer(s). Additional mileage charged at $.15/mile over 12,000 miles per year. See dealer for complete offer details. Offer Expires 04-30-2019. 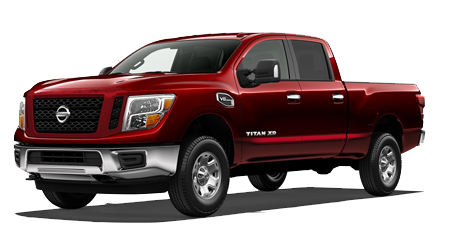 4.26% APR from Nissan Motor Acceptance Corporation. 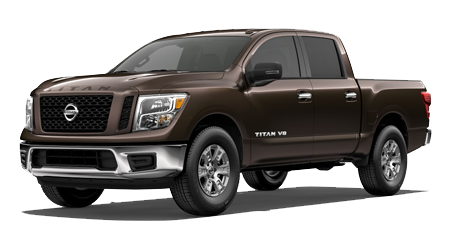 $4,000 2019 Nissan Titan Customer Cash Back Offer. For 60 Months. Plus tax and license. Monthly payment amount applies to qualified top tier credit or lease applicants having a minimum credit score of 750. Your monthly payment is established based on a full review of your credit application and credit report. Offer Expires 04-30-2019. Plus tax and license. Sample VIN# KN321304. $299 /Mo + tax. $995 Due at Signing for Qualified Lessees. Monthly payment amount applies to qualified top tier credit or lease applicants having a minimum credit score of 750. Your monthly payment is established based on a full review of your credit application and credit report. $995 Due At Signing after all qualifying offer(s). Additional mileage charged at $.15/mile over 12,000 miles per year. See dealer for complete offer details. Offer Expires 04-30-2019. 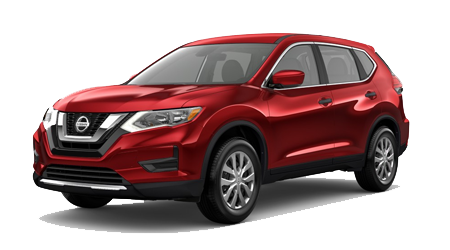 2.9%APR1 from Nissan Motor Acceptance Corporation. For 60 Months. 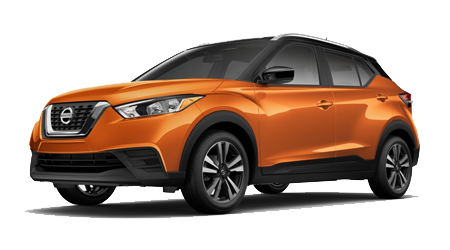 $2,818 down payment for Qualified Customers. Plus tax and license. Monthly payment amount applies to qualified top tier credit or lease applicants having a minimum credit score of 750. Your monthly payment is established based on a full review of your credit application and credit report. Offer Ends 4/30/2019 Offer Expires 04-30-2019. Plus tax and license. Sample VIN# --------. 309 /Mo + Tax. $995 Due at Signing for Qualified Lessees. Monthly payment amount applies to qualified top tier credit or lease applicants having a minimum credit score of 750. Your monthly payment is established based on a full review of your credit application and credit report. $995 Due At Signing after all qualifying offer(s). Additional mileage charged at $.15/mile over 12,000 miles per year. See dealer for complete offer details. Offer Expires 04-30-2019. Plus tax and license. Sample VIN# --------. $449 Mo + Tax. $995 Due at Signing. Monthly payment amount applies to qualified top tier credit or lease applicants having a minimum credit score of 750. Your monthly payment is established based on a full review of your credit application and credit report. $389 Due At Signing after all qualifying offer(s). Additional mileage charged at $.15/mile over 12,000 miles per year. See dealer for complete offer details. Offer Expires 04-30-2019. Plus tax and license. Sample VIN# 3N1CP5CU8KL511680. $299 /Mo + tax. $995 Due at Signing. Monthly payment amount applies to qualified top tier credit or lease applicants having a minimum credit score of 750. Your monthly payment is established based on a full review of your credit application and credit report. $995 Due At Signing after all qualifying offer(s). Additional mileage charged at $.15/mile over 12,000 miles per year. See dealer for complete offer details. Offer Expires 04-30-2019.